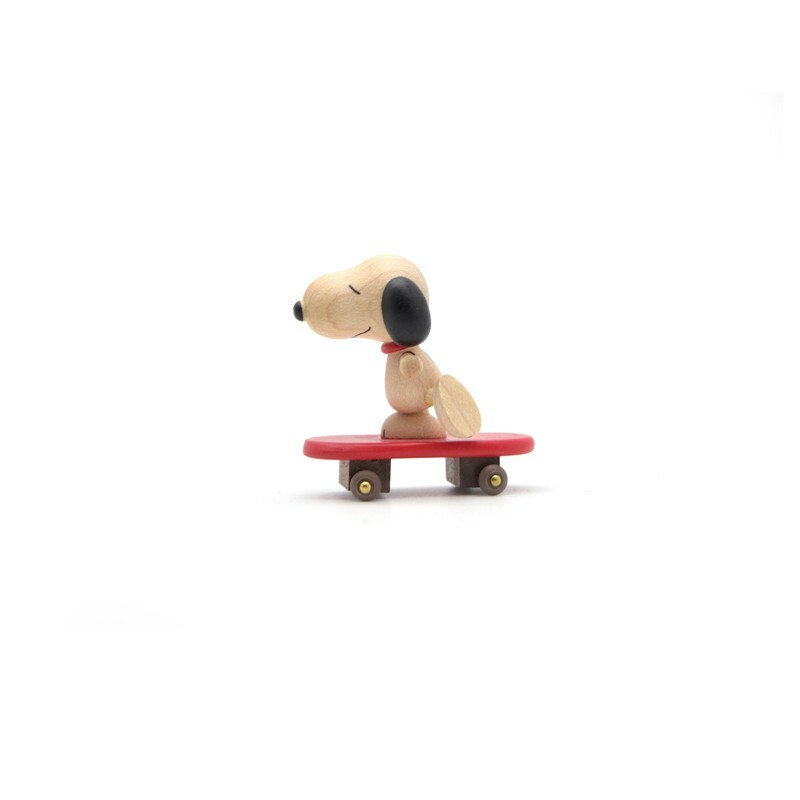 The Snoopy on Skateboard is the best gift for any Snoopy fans. 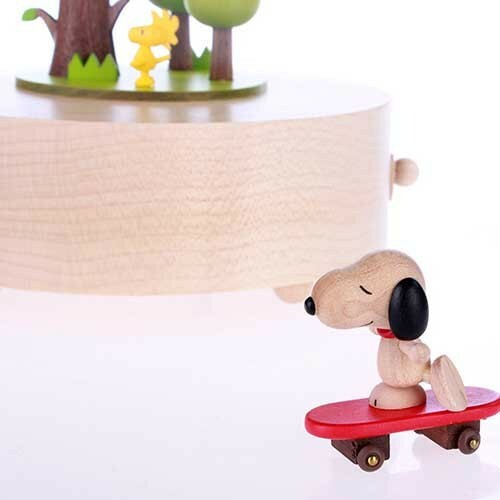 Intriguing mechanism: There is a small magnet inside of Snoopy so it moves around the music box. 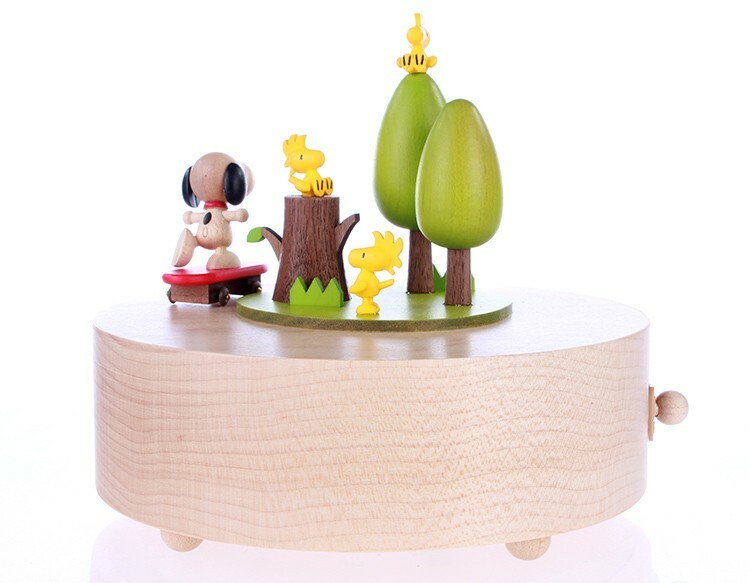 The Woodstock goes up and down. 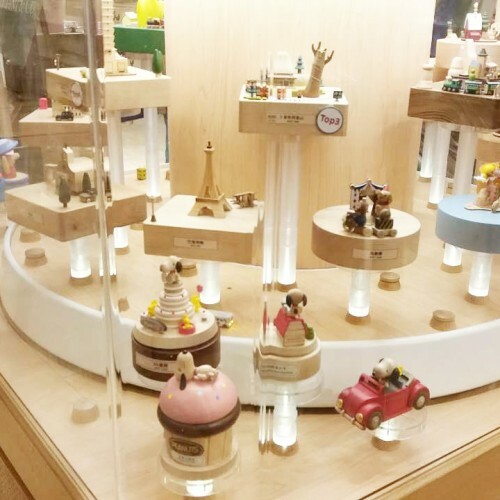 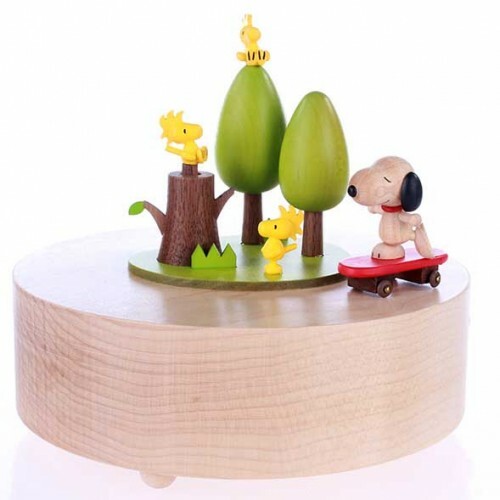 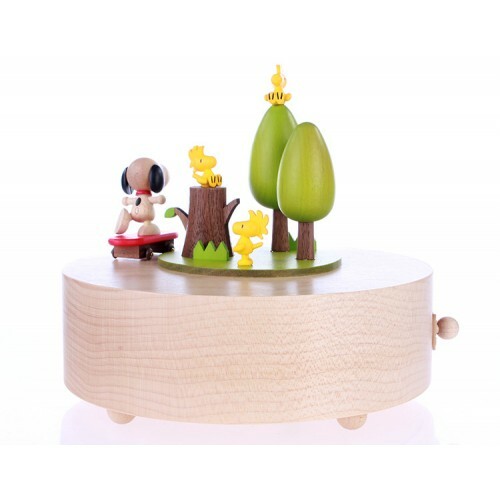 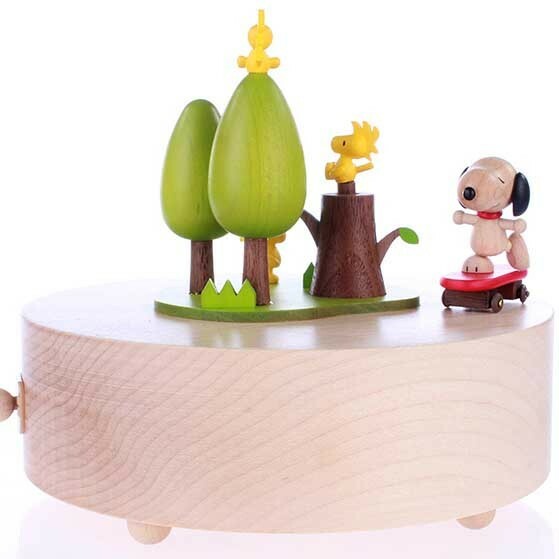 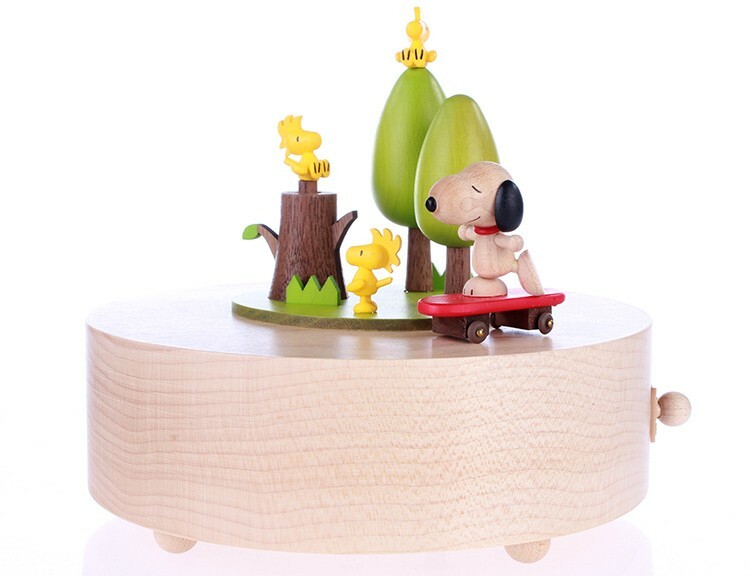 This handcrafted, unique, fine wood music box has Snoopy skating around in circles while Woodstock watch! The music box plays the song "Camptown Races". 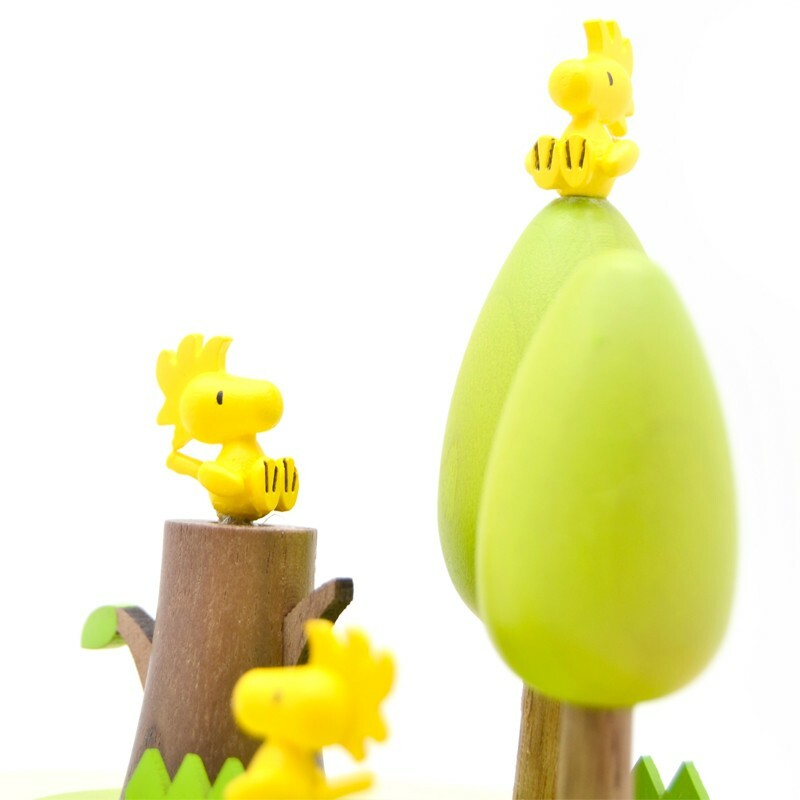 You can almost feel their joy! 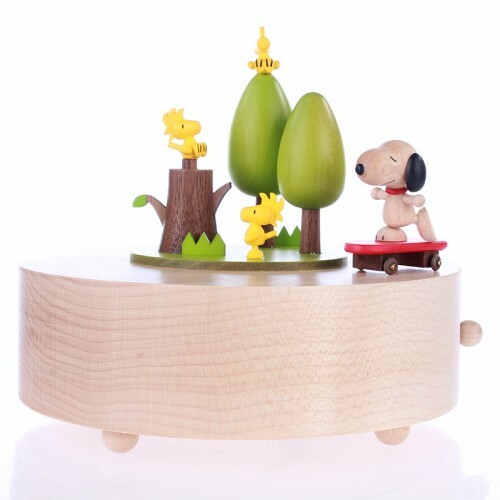 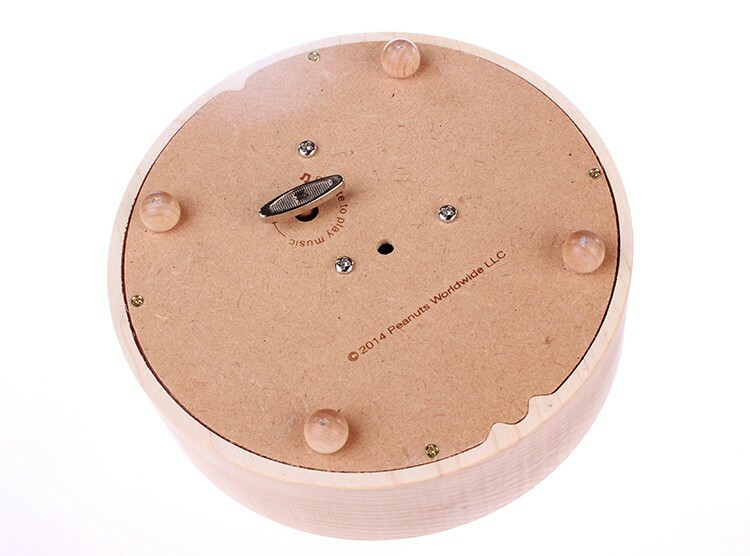 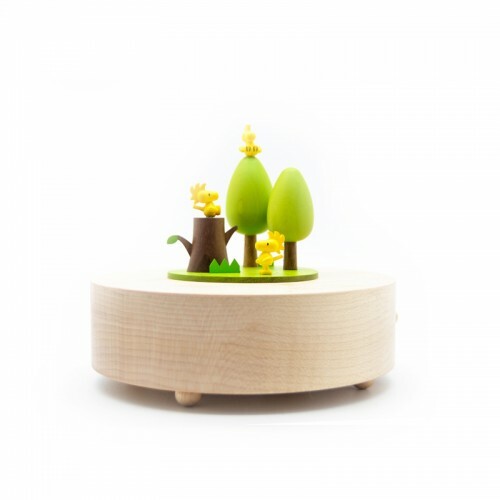 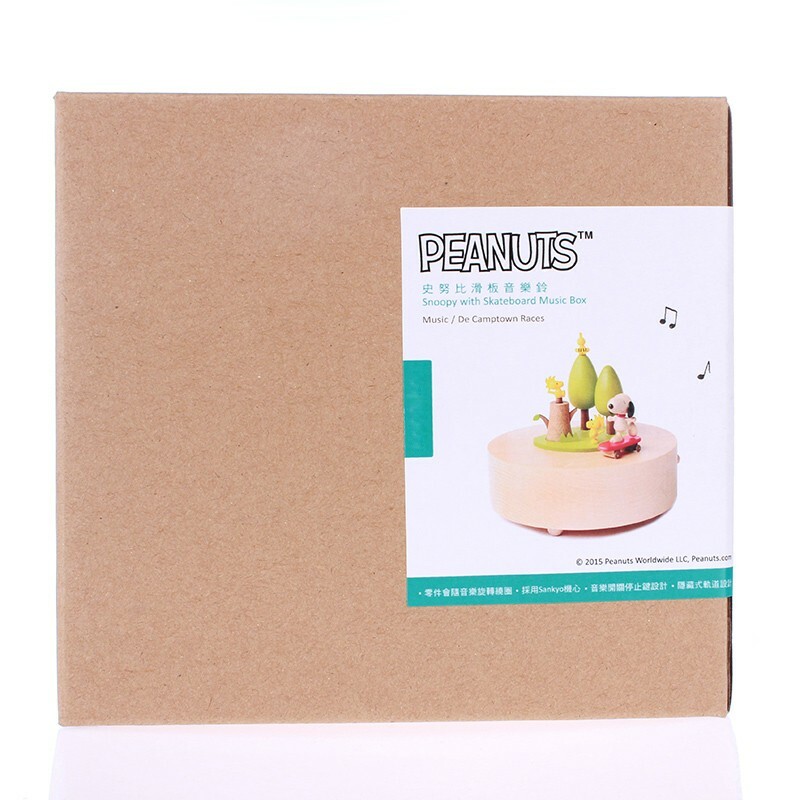 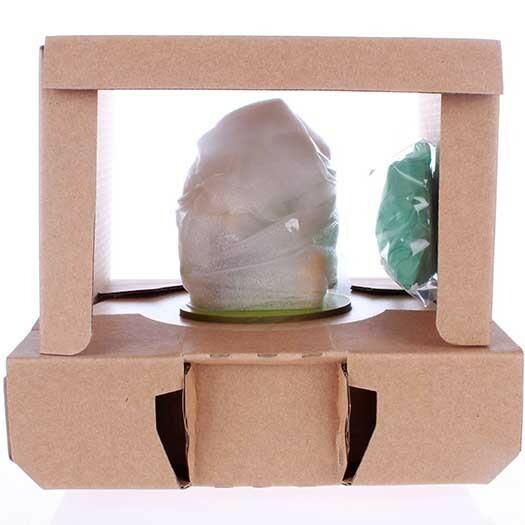 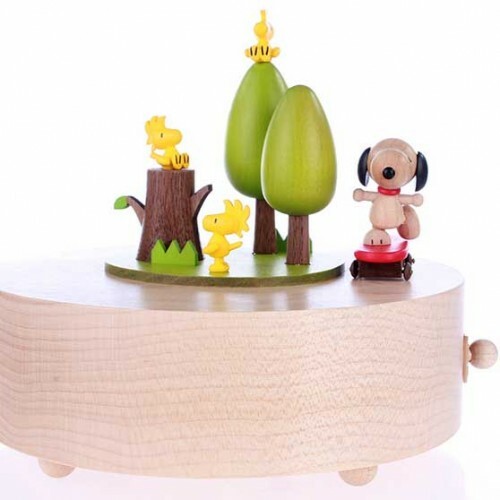 Thanks to its trademark hidden rail design, you can wind up your music box and watch Snoopy move in a perfect circle without the use of visible rails. 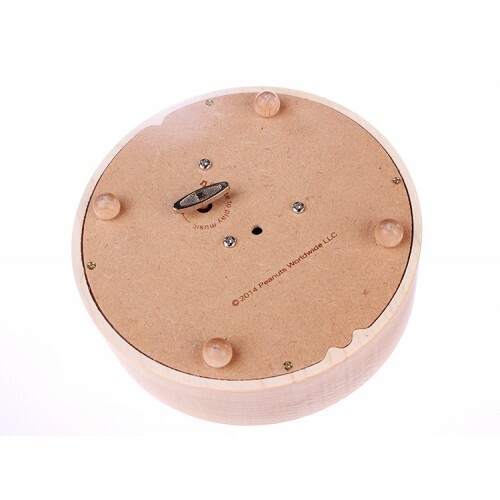 Immerse yourself in its magical performance!